Tim Burton Wants to Slather Robert Downey Jr. in White Facepaint for "Pinocchio"
Add The Pinocchio Wars to the ever-growing list of competing films about the same damn thing. Tim Burton's quest to adapt every creepy kids' story and make it look exactly like all his other kids' story adaptations continues with his effort to woo Robert Downey Jr for the role of Geppetto for a "Pinocchio" reboot, according to The Hollywood Reporter. This new story finds the Italian woodcarver hoping to get back together with his marionette-turned-boy, in a script by "Pushing Daisies" creator Bryan Fuller. Burton hasn't officially signed on yet, but he's interested enough to be bugging RDJ about it. And if Burton wants RDJ for Geppetto, is it safe to assume that he wants Johnny Depp to play Pinocchio? And who will Helena Bonham-Carter play? 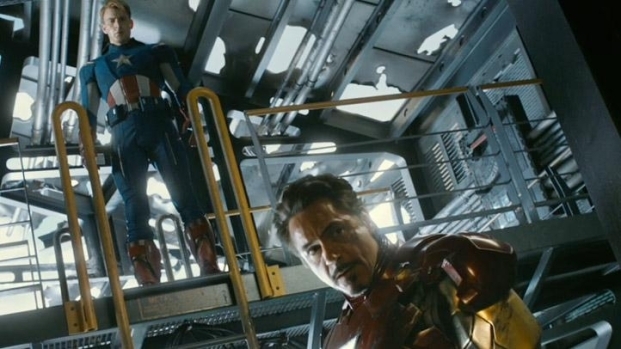 Both these guys are insanely busy, naturally, with Burton finishing up "Dark Shadows" and Downey gearing up for "Avengers" press and filming "Iron Man 3." But they'd better hurry as there are several other "Pinocchio" films in the works, including a stop-motion version being helped along by Guillermo Del Toro. Marvel's all-star superhero blowout coming May 2012 finally has a trailer.